“Worry is the mother of invention.” Likely many of us have seen that twist on an old aphorism. I am not sure who first coined it, though I have seen it attributed to Dr Adam Perkins. Dr Perkins is a neurobiologist and primary investigator at King’s College London on research into why some of us are more prone to anxiety than others, with the aim of explaining the causes of anxiety and to inform its treatment. The title of his co-authored paper is ‘Thinking too much: self-generated thought as an engine of neuroticism’. Well that certainly struck a chord! I have blogged before (here) of the vexation caused by not being able to switch off the negative ‘voices; in the mind, the so-called ‘inner critic’. Hmn. Of course, as a lifelong ‘worry wort’, I want to believe all these conclusions. Given all the hours, the sheer energy, spent entertaining anxiety, I’d like to think these have not been emptied into a black hole of wasted time but rather been cognitively processed into creative, proactive solution and considered thinking. But does worrying make one more creative, or is it simply a way to channel energy by doing something other than worrying? In other words, using ‘nervous energy’? Psychotherapist Diana Pitaru has written that: “Anxiety is a common emotion experienced by creative people…” although “…how and when people experience anxiety differs widely.” Pitaru notes creativity as a flip-side of anxiety, that we have a choice of whether to become paralysed with angst and play it safe, or use the ‘possibility’ of anxiety to embrace the unknown – hence bringing forward our creativity. 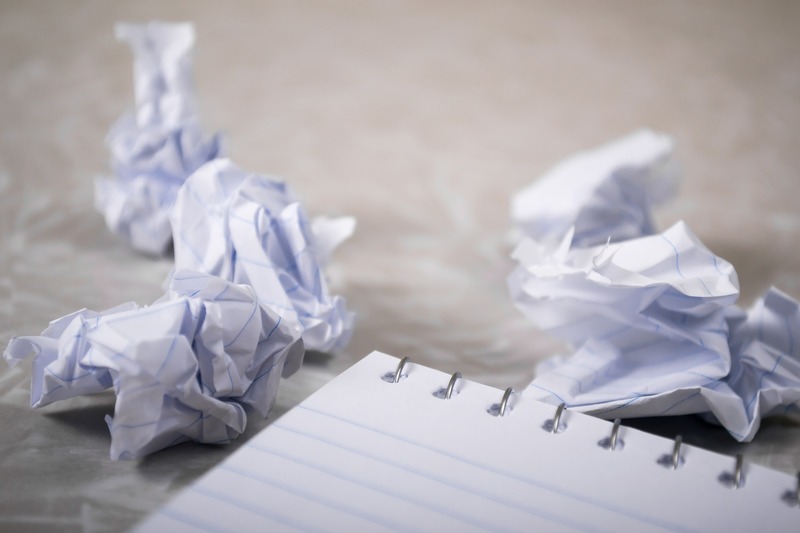 As an aside, I guess this might explain writer’s block in some people, that such a creative slow-down or halt may be brought on by anxiety – of a piece of work or an idea not being good enough perhaps, of failing. Certainly, writing is sometimes used in therapy, pushing back anxiety and stress, and simply learning more about one’s thought processes, by writing those thoughts down. But that can lead to something creative, something imaginative, that exposes one’s vulnerabilities. Something that connects with other people. Because most of us worry, don’t we? Have fears, whether large or small, founded or not. It’s part of the human experience. And that’s what fiction is largely about. There are multiple themes of the human experience: growing up; ageing; loneliness; social rights and equality; relationships, love and coupling; death (that had to be in there, didn’t it? The ultimate dreaded ‘thief in the night’)… As readers, we in turn explore and broaden our understanding of those experiences, and we relate to their universality. Personally, I am not aware of how much I channel my anxiety into writing. Again, is writing a form of therapy, or is anxiety used as a source of creative energy? But then, does it matter which? The next time anxiety starts tying my mind into knots, rather than read some life-affirming quote about the pointlessness of worry (of the many thousands), I will try directing it more consciously into writing. Writing something, anything. See what happens. That way, whether anxiety makes one more creative and intelligent or not, the next time someone comes up with a genius line such as ‘no point in worrying’, there may be a useful response. Perkins, AM, Arnone, D,. Smallwood, J., and Mobbs, D. Thinking too much: self-generated thought as an engine of neuroticism’ in Trends in Cognitive Science, 2015. Pitaru, D. ‘Keys to Creativity: Using anxiety to create’ on Psych Central. https://blogs.psychcentral.com/unleash-creativity/2015/01/keys-to-creativity-using-anxiety-to-create/ retrieved 13 October 2018. Nice to know that worrying can be correlated with something constructive/positive. That’s what I’m holding on to! I think for some people being a ‘last-minute strategist’ gives them the energy burst they need. Wel, I’ve seen the most ingenious solutions by people who wanted to achieve a goal, but loathed the pile of work it aquired. So they did it different. Good point. Laziness (or wanting to prioritise something else) is perhaps the father of invention. well, this was certainly thought provoking. I used to be the kind of person who worried a lot, for the past, for the things that would still come. but then i realized i made myself sick – literally – so whenever i start worrying now a days, i pick up a book and try to lose myself. it works almost %100 of the times, and by the times the book is over, i’m abble to look at things in a more objective way (otherwise, i read another book). But i can agree that worry and axiety helps with creativity. I read once a line in a poem by this blogger… i can’t remember the exact words but it went like this” poetry is the way we let out choked emotions. Good point – reading can be cathartic, and help get a sense of perspective. As usual, worry and anxiety are not binary categories but mere points on a continuum. Worry carried all the way to anxiety may lead to a full stop. you just can’t do anything anymore. Thank you for reading. Had forgotten about Zappa’s band! And yes, I guess there’s a point where worry can tip over into a more severe form of unease that needs to be managed. ‘What’s the worst that can happen?’ is a good attitude. Sounds like a healthy form of escapism. I guess it all comes down to directing the energy somewhere. Channeling anxiety to writing is perfect one. As a writer we tend to examine a lot about a person and traits ( it includes understanding anxiety). Notably,. Your title is awesome. Very true. I personally have found it a good outlet. An example where being one of life’s worriers can be a positive thing because, as you say, we focus in on detail. 💯 true convert our difficulties to strength. Directing the energy thru anxiety into positive energy is a great idea. I learned it as necessity is the mother of invention. Worry is a negative. Yes, it’s a sort of play on a time-honoured phrase, but you’re right: a practical response to necessity is a lot more positive as a reaction.